Janet Wolff provides a neo-marxist take on aesthetics and art criticism. Neo-marxism involves the principles of marxism and applying it to various practical forms, in this case, in artistic forms. This differs from orthodox marxism wherein there is a partiality for “tendency literature.” Tendency literature are literary forms that directly states and reiterates marxist ideals. Another interpretation of marxist literature is the para-marxist approach, wherein they put much belief in the great literatures that influenced the world and effected social change. Neo-marxist literature on the other hand is a complete innovation of artistic form, wherein it would still be geared toward social change but it will no longer be in the form practiced by the orthodox and para-marxists. Rather, it will utilize a different and innovated form to achieve such goals. The Social Production of Art is divided into six chapters namely—Social Structure and Artistic Creativity, The Social Production of Art, Art as Ideology, Aesthetics Autonomy and Cultural Politics, Interpretation as Re-Creation and The Death of the Author. Wolff provides a short summary in the beginning of each chapter as well as a logical conclusion at the end of it. This helps in the comprehension and analysis of each chapter. Her writing style is fairly simple despite the provocative thoughts and arguments that she presents. The main focus of the book is on literature and visual arts, particularly that of painting. She analyzes the mode of production and consumption of art and literature, taking into account the marxist perspectives that she applies in aesthetics and art theory. Social Structure and Artistic Creativity deals mainly on the changing paradigm of artistic production and the shifting perspectives on artistic creativity. Particularly, Wolff points out the major slippage of perspective upon the introduction of capitalism to artistic production. Artistic production before capitalism is considered as a communal practice. With the advent of capitalism, a communal practice and expression is reinterpreted as an individual practice that required the isolation of the artistic genius. This reinterpretation displaced the artist from being a part of the community into someone who is separate from it. Such a shift resulted into a displacement of the artist and apparent dehumanization of labor. Such is the beginning of the breakdown of traditional ties that were the foundation of artistic production. The Social Production of Art, the second chapter, bears the title of the book. This part mainly dealt with the marxist aesthetics. Once again, the loss of the collective production of art into the artistic genius is pointed out. But such artistic genius as a separate institution is questioned. Wolff points out that the artist is mediated by social and economic institutions that influence the mode of production. It is disproved that artistic production can be isolated and completely individualized because at the base of this superstructure is the social and economic institution where the artist belongs to. The artist would still reflect the collective as he cannot escape from or be isolated from it. Art as Ideology, the third chapter, once again shows strong marxists tendencies. Wolff further explores the nature of mediation in artistic production. She states that, “The ideological nature of art, then, is mediated in two ways: through the material and social production of works of art, and though the existing codes and conventions in which they are constructed.” Wolff uses two solid examples, Thomas Gainsborough‘s painting entitled Mr. and Mrs. Andrews and the Jane Austen‘s novels. Contemporary viewers may interpret Mr. and Mrs. Andrews as a portrait but given the material and social condition during the time of artistic production, the painting presents the properties of the Andrews and situating them within that property. They exist through the codes and conventions where they are constructed. The same is with the case of the novels of Jane Austen. The contemporary reader may encounter difficulties with reading her works, some might find it boring, repetitive and cyclical. But taking into consideration the conditions at the time of artistic production, Jane Austen’s novels were not published as books in its first incarnation, it was originally published in parts through serialized form. Each part needs to have a beginning and end to be comprehensible as a serial that can be read on its own. Then such serials were compiled into what is known now as her novels. This affected the material form of the novel as the codes and conventions of the times dictated it. Yet, it is important to locate exactly where does the artistic intention ends and the autonomy of the art itself begins? Such question is answered in the fourth chapter entitled Aesthetic Autonomy and Cultural Politics. Wolff points out the different forms of marxism mentioned earlier. More importantly, she shows the relative autonomy of aesthetics and how cultural politics work. Despite the mediations, aesthetics and culture as a superstructure has relative autonomy from the base, particularly in the moment of the last instance. Wolff states that, “Art, at least in certain conditions, has this potential transformative power, and that cultural practice and cultural politics have a part to play in cultural change.” This shows that artistic production is not a mere slave of capitalistic powers, but because of its relative autonomy, can actually effect change and transformation in society. Such is the power of art and artistic production. Interpretation as Re-Creation shows the role of the ordinary reader—to harness the transformative power of an artistic product. At one point, artistic intentions must give way to the reader’s interpretation. Wolff says that, “consumption produces production… because a product becomes a real product only by being consumed.” Artistic production would be meaningless without the consumption of an audience. Upon consumption, the interpretation of the reader becomes the re-creation of the artistic work. A work is never understood completely as the author intends it to be. Once again, the material and social conditions would mediate with the meanings and ideologies understood. The Death of the Author, the last chapter of Wolff’s book, takes off from Roland Barthes‘ book of the same title. Unlike Barthes, Wolff believes that the birth of the reader does not necessarily result to the death of the author. The author as a “fixed, uniform and unconstituted creative source” is in fact dead, but Wolff repositions the author as a subject who is also part of the collective consciousness. The work may produce thoughts and meanings that are outside or beyond the author’s original intention, yet it does not mean that it is completely absent at the time of production. Wolff also demystifies the creative process, reiterating that it is not an isolated production but a product of a collective consciousness. The author is also a subject, therefore is also subjected to various positionalities and is not restricted to one point of view and position. The author and the reader are both positioned as subjects and therefore interact in the analysis and reading of the text. The author and the reader are freed from the rigidity of Barthes reading in his The Death of the Author. 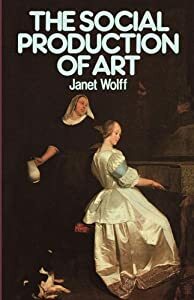 Janet Wolff’s The Social Production of Art is an effective application of maxist ideals on aesthetics and art criticism. She gives very practical analysis on artistic production and reception by positioning the author and viewer as both a subject of material and social mediations. She puts forward the importance of the collective consciousness in artistic production thereby demystifying the idea of an isolated artistic creativity. The importance of the ordinary reader (or the audience) in the artistic production and reception is also very noteworthy in the writings of Janet Wolff. The text goes beyond simple interpretation as it explains the meanings and ideologies as it is mediated by material and social conditions. This line of thought involves not just the artist and critics but gives an equal importance towards the ordinary reader. Because of the marxist ideals of Janet Wolff, there is a strong materialist basis for the writing. Her thoughts, ideas and ideologies always begins with a material object. This is a very strong stand in aesthetic and art theory as Wolff does not get lost in the philosophy or ideology of an art work. She always bases her analysis on an existing and actual art work and does not rely on pure imaginings of what an art work should be or could be. The material basis of her stand gives a solid foundation for theoretizing, analyzing and application of the marxist ideals. 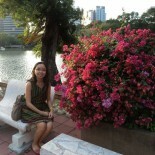 She does not get lost in the thought, rather, her writing is very grounded on the art work. In aesthetics and art criticism, Janet Wolff’s neo-marxist writing contributes in taking to account the ordinary reader or the ordinary viewer. Most writings on the area ignores the ordinary audience and put much stock on critics and academics. In the marxist perspective, the point of view of the ordinary audience is just as important as that of the critics and academics. This is almost groundbreaking in terms of the freeing of the expression and perspective upon art works. Again, in the realm of aesthetics and art criticism, the demystifying of the artistic genius and creativity is important so that writers can veer away from the humanistic veneration of the genius and recognize the existing mediation of material and social conditions. As the mediation of material and social conditions evolve and fluidly move through time and culture, it is still important to note that both the artist and the audience is part of that movement. Wolff’s idea of an artist as a non-static and moving entity is important in understanding the art work and art history, as well as in formulating aesthetic theory and art criticism. Contemporary practices in art theory and criticism can take a lot with Wolff’s work. Too many get lost in thoughts and ideas, it is a good practice to go back to the material object, in this case—the art work. The importance of the role of the ordinary reader should also be taken into consideration rather than just focusing on an academic and critical perspective. The demystification of creativity is also a good practice so that a writer can see the actual material and social mediation that is fluidly moving towards the artwork. In reading and viewing the artwork, it is also important to remember that it is always a re-reading and re-viewing, and although the original meaning and intention cannot be recovered, the material and social mediation is ever-present though ever-changing, which helps translate the writing for the contemporary reader and viewer. The birth of the reader does not always mean the death of the author as they co-exist as subjects. Wolff’s application of marxism in aesthetic and critical practices is an effective perspective in viewing contemporary art and even older art woks in a contemporary way. Wolff, Janet. The Social Production of Art. New York: St. Martin’s, 1981. Print. This entry was posted on March 30, 2011 by Portia Placino in Art Theory and Aesthetics, Art Writing, Book Review and tagged aesthetics, Jane Austen, janet wolff, neo-marxism, Roland Barthes, Thomas Gainsborough.